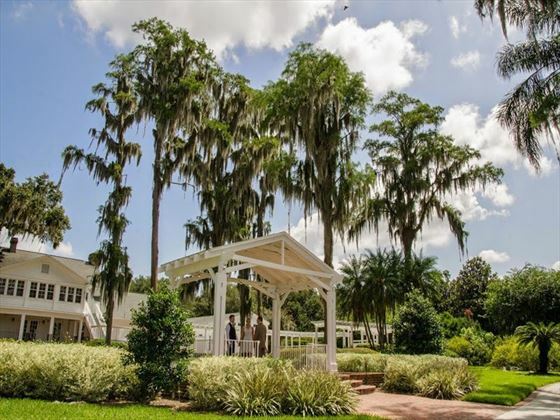 Looking for the perfect Floridian wedding location? 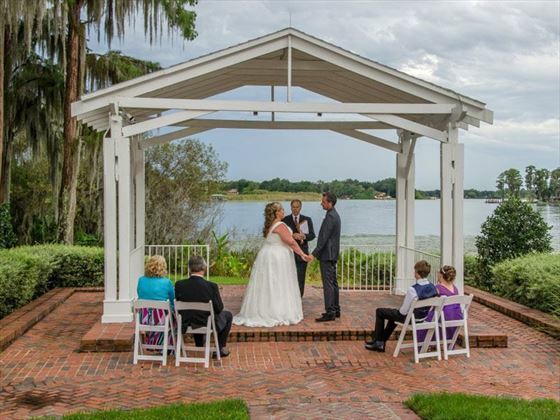 The White Gazebo is the most popular area for weddings, however there are other great areas, including a terrace, an amphitheatre or for couples the Rose Garden - located at the front of the house. Along with the hire of the grounds of the Estate House at Cypress Grove. 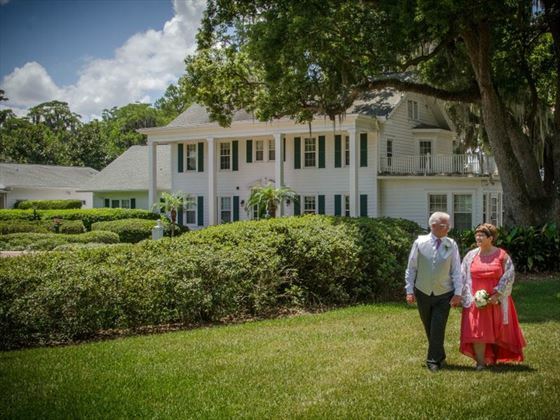 We also hire one of the rooms in the house for your cake and champagne presentation or just to get you, your guests and young children out of the summer Florida heat. 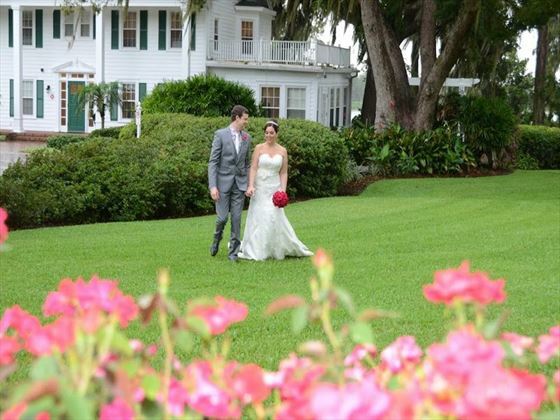 There is great wheelchair access to all wedding areas. No confetti is allowed at this location for the aisle or after the wedding. Please note that only non-alcoholic drinks are permitted at Cypress Grove as Florida State law does not allow alcohol in public parks. Weddings Performed Monday through Thursday only, 11,30am, 1,30pm and 3.30pm (all year round) July and August depending on the weather we do offer inside weddings due to the heat. We are allowed 2 hours at the location - 1 hour for set up and breakdown of wedding and 1 hour for the reception. This location will be closed for yearly maintance during 8 - 19 July 2019. 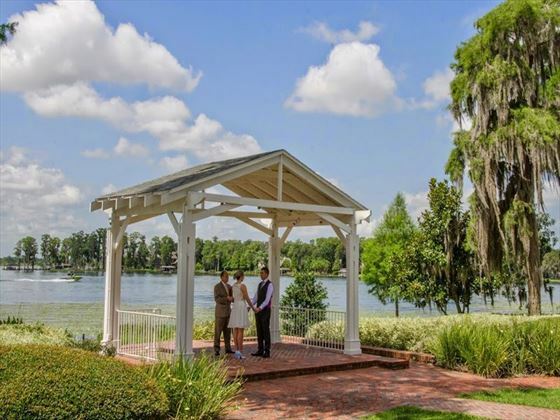 Approximate driving time is 20 minutes from International Drive, 35 minutes from Lake Buena Vista, 45 - 55 minutes from Kissimmee / Highway 27 area.